Middle Eastern cuisine encompasses the fresh ingredients and aromatic flavors used by countries such as Syria, Morocco, Lebanon, Israel, Armenia, Turkey and, to some extent, Greece. Always full of fresh herbs, warm spices and savory flavors, typical Middle Eastern meals include salads, vegetables, bread and sometimes a small amount of meat. An abundant mezzes course (mezzes are appetizers similar to tapas) commonly precedes the meal, and it’s not uncommon for restaurants to advertise 70 mezzes or more. In fact, Middle Eastern meals were said to be so lavish that French Crusaders brought the Persian word for stew, “ghormeh,” back to the western world, where it took on its present-day meaning: gourmet. Middle Eastern cuisine is also quite healthy, and increasing numbers of Americans are indulging in the once-exotic flavors of Middle Eastern favorites like hummus, baba ghannouj and tabbouleh. If you’re interested in tasting some Middle Eastern flavors for yourself, start with these six healthy staple foods, then check out the two recipes below. Chickpeas, with their subtle nutty flavor and buttery texture, are used as a main ingredient in hummus, a rich garlicky dip that’s growing in popularity here in the United States, and falafel, ground chickpeas and spices that are fried and eaten as a street food or fast food in much of the Middle East. Chickpeas are also popular in soups, stews and side dishes. Health Benefits: Chickpeas contain healthy nutrients including protein, manganese, folate, tryptophan, copper, phosphorus and iron. Plus, they’re an excellent source of fiber, which is known to help lower cholesterol, fight heart disease and stabilize blood sugar levels. Tahini, a paste made from ground sesame seeds, is mixed with chickpeas as a key ingredient in hummus and is also often used in the eggplant dip baba ghannouj. Tahini is also part of a popular sesame confection called halvah, and is mixed with lemon juice and used as a sauce for meats, vegetables and salads. Health Benefits: Sesame seeds contain beneficial fibers called sesamin and sesamolin, both of which belong to the lignan group. These substances help lower cholesterol and have been found to prevent high blood pressure and increase vitamin E in animals. Sesamin also protects the liver from oxidative damage. Sesame seeds are also rich in manganese, copper, calcium, magnesium, iron, phosphorous, vitamin B1 and zinc. Fresh mint leaves are a popular herb in Middle Eastern cooking, used in tabbouleh salad, yogurt sauces, vegetable dishes, soups and beverages, including a strong mint tea, which is traditionally offered to arriving guests. Health Benefits: Aside from being a good source of manganese, vitamin C and vitamin A, the peppermint oil in fresh mint leaves is soothing for the stomach — it’s been found to relieve irritable bowel syndrome, indigestion, colonic muscle spasms and more. It also contains potent phytonutrients that have been found to protect against cancer, neutralize free radicals, and benefit asthma and allergies. And, peppermint oil is anti-microbial, which means it can stop the growth of various types of bacteria and fungus. Eggplant is perhaps the most commonly consumed vegetable in Middle Eastern cuisine, and is the featured ingredient in baba ghannouj (eggplant dip). It’s served grilled, stewed, fried and even pickled in a number of dishes, or on its own. Health Benefits: Nasunin, a phytonutrient found in the eggplant’s skin, is an antioxidant that protects against free radical damage and protects the fats in brain cell membranes. Eggplants also contain chlorogenic acid, which is known to have anti-cancer, antimicrobial, and antiviral properties, as well as help lower LDL (bad) cholesterol. They’re also a good source of dietary fiber, potassium, manganese, copper and vitamin B1. Cumin, a spice with a nutty, peppery flavor, is used in whole-seed and ground form to flavor a host of Middle Eastern dishes. Cumin is so popular in some Middle Eastern regions that it’s kept in a shaker on the table, as salt and pepper are kept in the United States. Health Benefits: Cumin is rich in iron, which is excellent for energy and keeping the immune system healthy. It is also known to benefit the digestive system, as cumin may stimulate the secretion of pancreatic enzymes that help with digestion and nutrient assimilation. Cumin may also have cancer-fighting properties. Ground turmeric, which lends a characteristic yellow color to foods, is used in many Middle Eastern meat and vegetable dishes. It has a peppery, slightly bitter flavor that is a staple ingredient in curries. Health Benefits: Turmeric is a nutrition powerhouse. 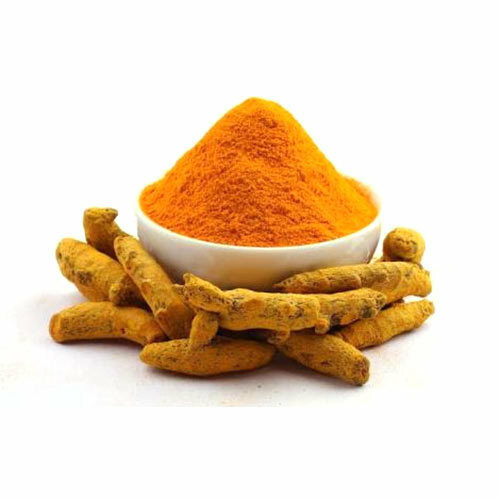 Most notably, it contains curcumin, which gives it not only its color but also many of its health benefits. Turmeric has potent anti-inflammatory properties and has been found to be helpful in fighting inflammatory bowel diseases, including Crohn’s disease and ulcerative colitis, rheumatoid arthritis, cystic fibrosis, cancer and Alzheimer’s disease. It may also provide cardiovascular and liver protection..